One morning, I saw an amazing technique on TV that can make you, especially if you're a woman, fit and slim. This can be achieved as early as one month by doing certain postures for only 30 seconds per day. Of course, I immediately applied this fantastic exercise to all my workers. Actually, this technique is very simple and easy to do. No equipment and no heavy exercise and movements are involved. Most of all, it's free! You only need to consume about 30 seconds of your time each day. If you are experiencing pain in your hip or around your knee, you can restore your body's poor condition after 30 seconds a day in 30 days of your continued effort. Now, let's figure out what this technique is. Can you believe that you can reduce your waist and hip sizes and even increase your chest or breast size in 30 days and you will look even better in 60 days? All of this can be achieved by doing certain postures for 30 seconds every day. First, measure your breast or chest size and list it. Also measure your waist and hip sizes to keep track of your progress. Proper standing posture can help keep your skeletal system aligned so that your muscles can operate efficiently. Weakening of the muscles around the hip and breast is usually caused by lack of exercise. If muscles around the hip weaken, then the position and orientation of the pelvis will tilt under the weight of the upper body. Then the spine will tend to lean because of the unbalanced figure. By strengthening the muscles around your hip, your beautiful figure will go back to the original tilt of the pelvis with your spine stretched to the right altitude. 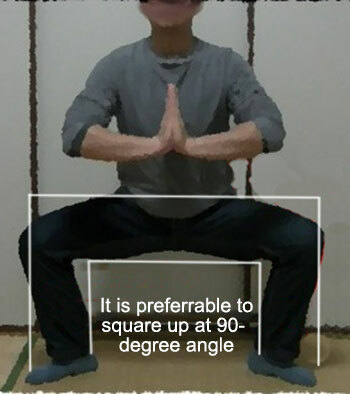 Bend your knees and lower down into a squat as shown on the image below. Keep your knees in line with your toes, stomach contracted, and back straight. Do the above postures 3 times a day for 30 seconds each, then your beautiful figure will be restored in a matter of 30 days. In two-month time you may look like a beautiful princess or a prince of your town. Nothing could be simpler and easier than this. No hard exercises. Just bring your body into a posture like the above illustrations for 30 seconds every day, then you can keep yourself healthy with beautiful figure. Whether you believe this or not, just 30 seconds a day for 30 to 60 days, why not share 30 seconds of your time a day to prove it? By doing this posture, there are lot of followers whose arthritis, stiff shoulders, stiff neck, and pains around the waist, have disappeared. 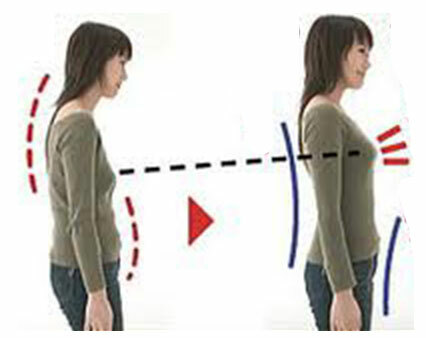 Keep doing this posture not only for 60 days but do it continuously to keep your beauty.